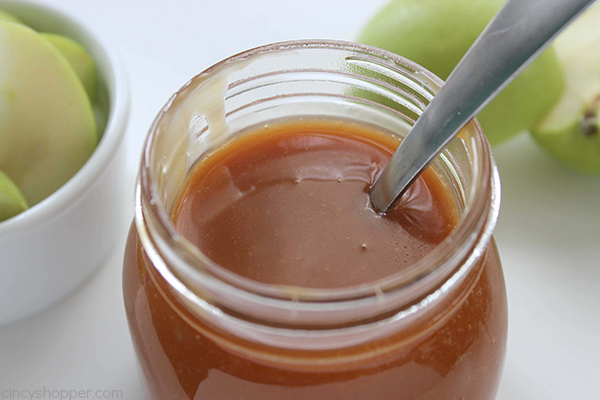 It is really quite easy to make your own Homemade Caramel Sauce. 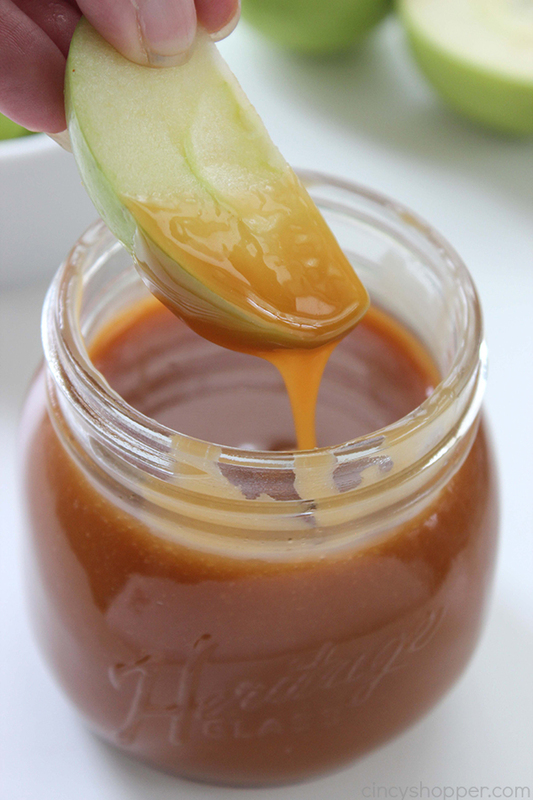 With just 4 ingredients and a few minutes time, you can have it ready for dipping, topping, or including in your other caramel recipes. 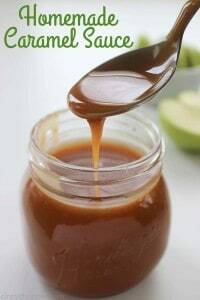 I admit that I keep store bought caramel topping and sauce in my pantry most of the time. I am all about the convenience of just having it ready to go. A few years ago, I shared a Salted Caramel DIY Gift for the Christmas season. I made that Homemade Salted Caramel Recipe for quite a few gifts and for some of our holiday baking. I have to admit I have not made it in a very long time. GASP…. I really do not know why because my family and I love this stuff. 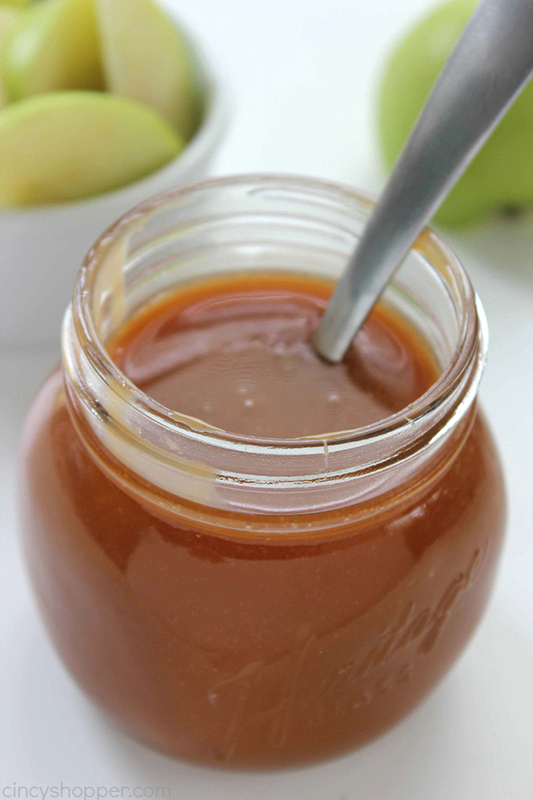 I am making a few recipes for fall that will call for caramel in the ingredients. Normally, I would just purchase store bought so it is less of a hassle when I am running short on time. 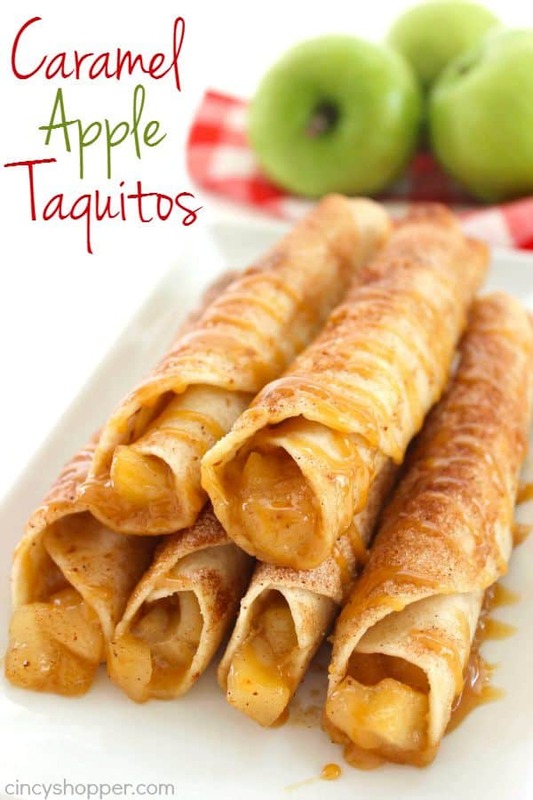 Since the kiddos will be back to school, I would like to make a few from scratch recipes. I know I want homemade caramel to be included in them so I made a couple batches today. I thought I would share this simple recipe for Homemade Caramel sauce with all of you. Fall is all about caramel goodies. 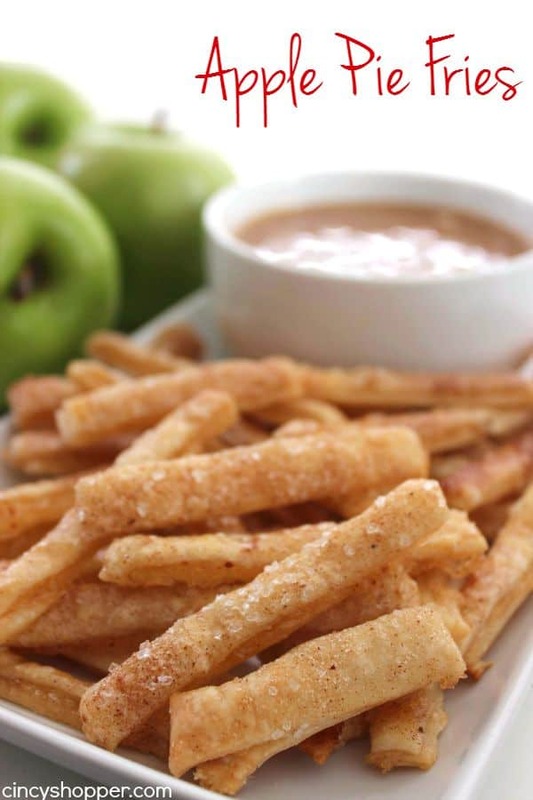 It is great for dipping plain apples or our Apple Pie Fries (I know those will be made for many after school snacks this fall). 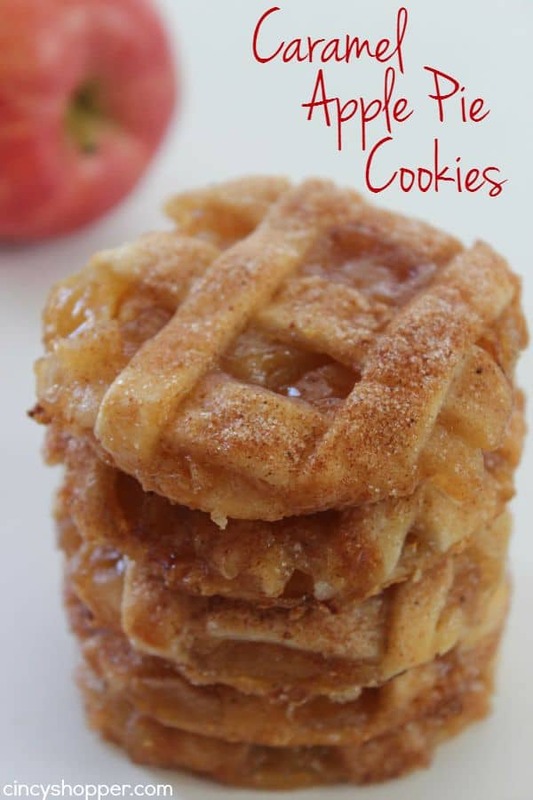 Oh, and I can add it to our favorite Caramel Apple Pie Cookies too! 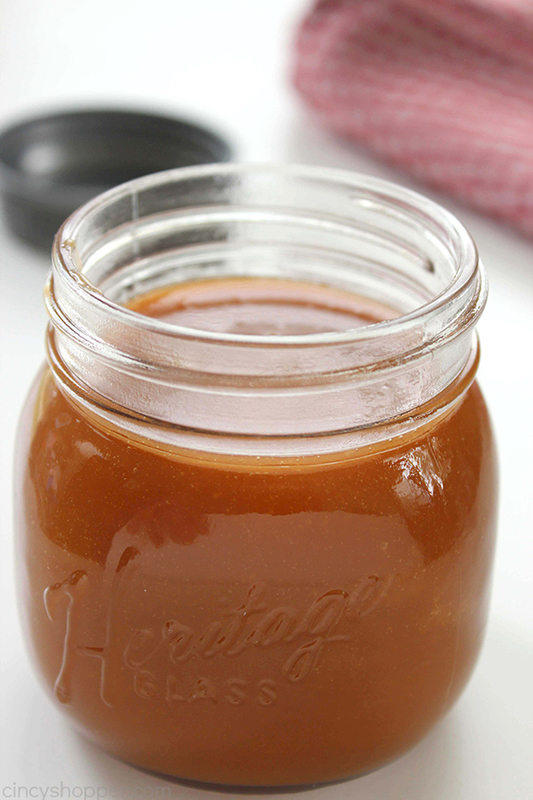 Making Homemade Caramel Sauce is so super simple. Why I always think of it being so intimidating is beyond me. I needed to beat that fear and be over it, ha ha. It is so incredibly simple. 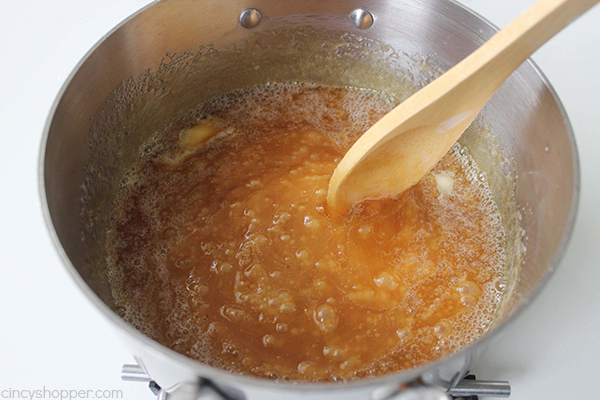 All that is needed to make your own Homemade Caramel Sauce is corn syrup, sugar, butter, and half and half. 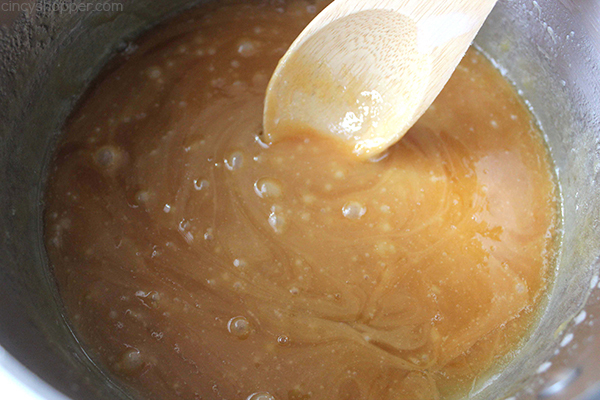 With so little effort, we can make homemade caramel which is so much better than store bought. 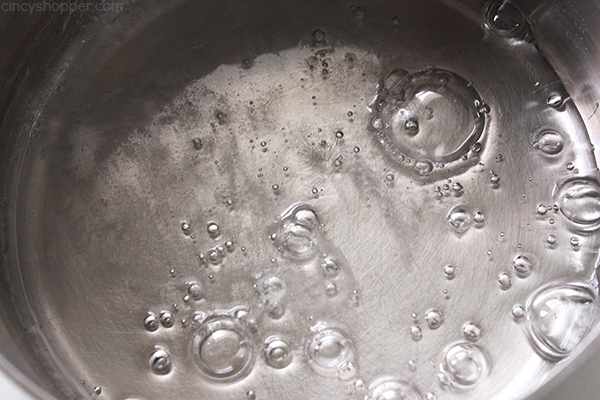 Place corn syrup in a medium pan and heat over medium heat. 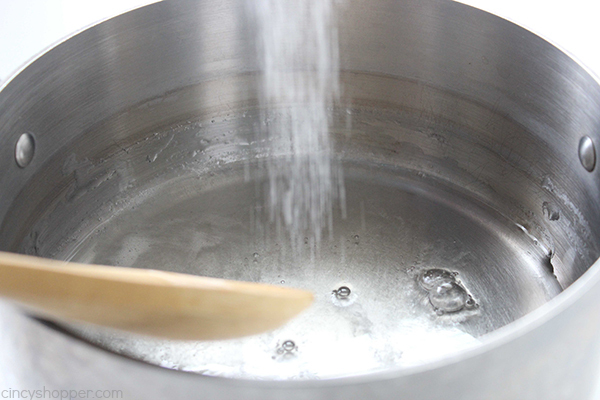 When corn syrup is heated (starting to bubble) add sugar and stir until well mixed. 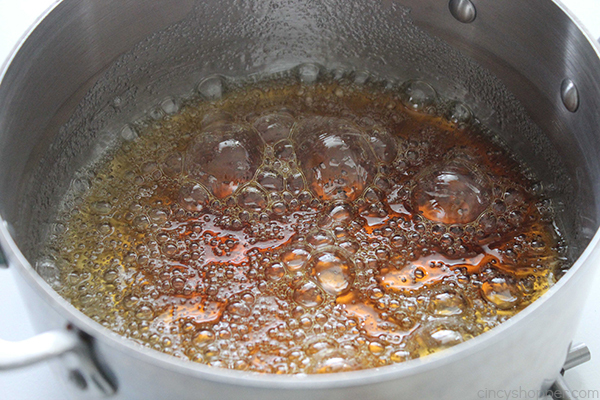 Let syrup cook without stirring until it turns a golden color. 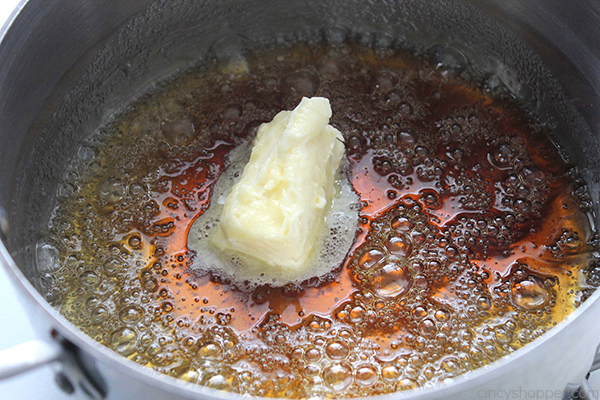 Remove from heat add butter and stir until blended. Slowly add cream while stirring constantly to blend. 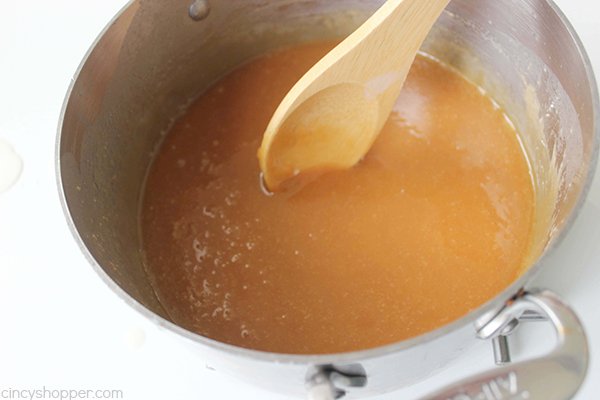 Do you have a favorite recipe that calls for caramel in the ingredients? 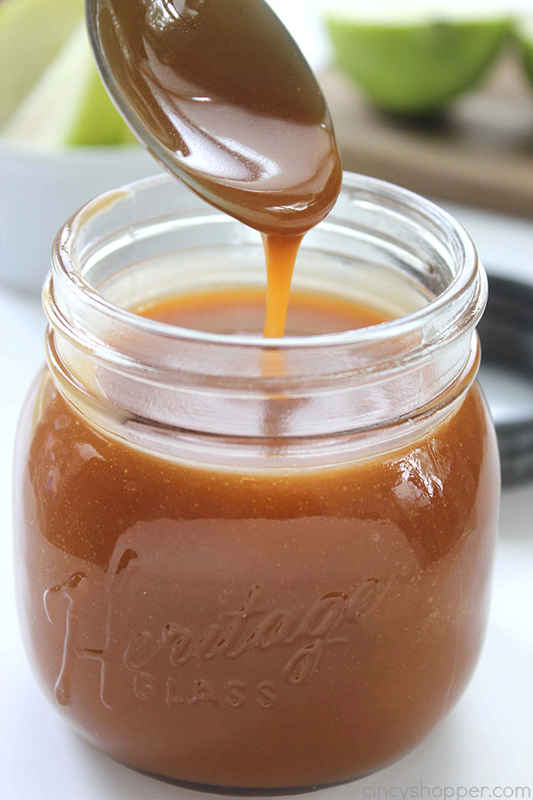 Love having a caramel sauce available to have on a dessert that is quick and easy. Thanks for sharing this – found you at Wake Up Wednesday! How many days will this keep if refrigerated? 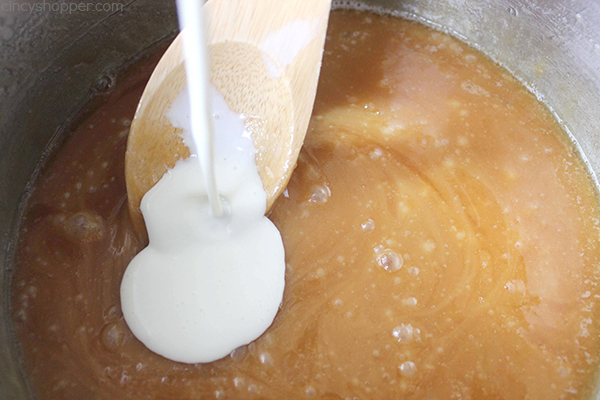 I love any recipe that includes Caramel Sauce. 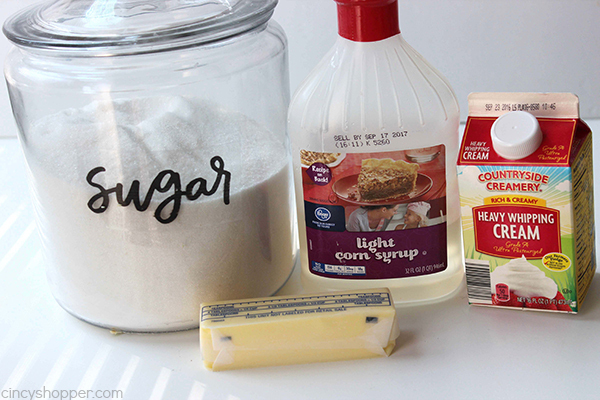 I have found a way to decrease the splattering that can happen when you add very cold heavy cream to the hot sugar syrup is to warm the cream in the microwave. Sometime, I had the cream in a measuring cup and nicely heated and I put a ginger flavoured tea bag in cup while the sugar was cooking. This flavoured the cream just a bit and added a nice touch to the caramel sauce. Yes, I have tried different flavoured tea bags. Can I use honey instead of corn syrup? Would I need to do more/less? Would I need to use something else with the honey or something else entirely? 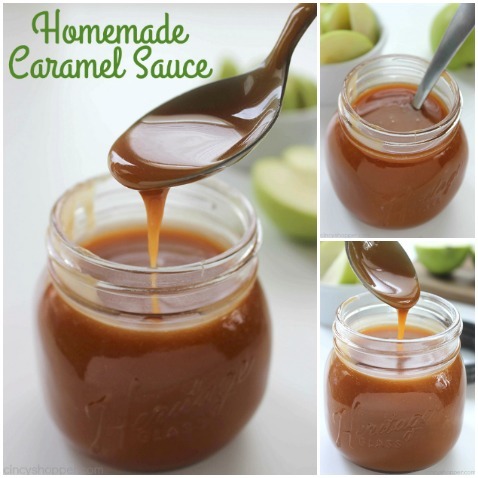 Does this caramel sauce work for the caramel topping used in the caramel apple pie cookies? How is this stored, does it have to be refrigerated?